The role of the news media in the 2016 election troubles me. Maybe after the dust settles it will be easier to judge our mistakes and excesses. We are in the heat of a campaign that is completely unprecedented in so many ways. 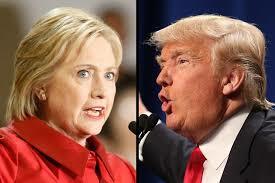 Both candidates have negative ratings with the electorate. One party is in danger of being torn apart. Allegations of sexual assault are flying left and right. The media feeding frenzies that have accompanied these events have been fascinating—like watching a train wreck–but disconcerting nonetheless. Most of the extreme media treatment has been directed at Donald Trump, of course. In a sense, the media created Trump as a national political figure. Thank “The Apprentice” and Trump’s birther claims. During the early stages of the 2016 Republican primary contest, journalists interviewed Trump almost nonstop. He was “good copy”—the kind of entertaining interviews that sell newspapers and boost ratings. Because almost no one took him seriously as a candidate, it seemed harmless. Then came Trump the frontrunner and Trump the nominee. Calling immigrants “rapists” and attacking family members of opponents was judged by the media to be outrageous, and with good reason. Trump’s rallies got ugly, with the candidate failing to urge restraint as his supporters punched protesters and yelled that Hillary Clinton should be jailed or executed. Trump barred some news outlets from attending his events, increasing tensions between the candidate and the mainstream media. Clinton has been under less of a microscope, in part because she has refused to double down on her own indiscretions. The revelations about her misuse of email accounts were a little too weak for the Trump campaign and the media to make into an earth-shaking scandal. Issues regarding her foundation were also tough to pump up. Her public description of Trump supporters as “deplorables” did not get as much traction in the media as some of Trump’s middle-of-the-night tweets, however. The WikiLeaks release of Clinton emails that some people said proved that she would coddle Wall Street came on the same day that the “Access Hollywood” Trump dirty-talk video surfaced, so it was barely noticed. Timing is everything. Now, about that dirty-talk video. When I was a reporter for The Washington Post, I covered state and local politics. My editors and I did not have to deal with issues that were this big or this sensitive, so it’s difficult for me to criticize today’s national campaign reporters. Back then, we didn’t have the plethora of blogs and social media that we have today. Instant information sources are competing with traditional print and TV media for the hearts and minds and dollars of Americans. Decisions about what to publish or broadcast are influenced by what people are saying online. News is history in a hurry, and there is immense pressure on editors. Go too far or publish prematurely, and the public and the campaigns condemn you. Get beat on a juicy story—well, that’s not an option. Meanwhile, legitimate debate about taxes, jobs, immigration, foreign policy and other key issues gets lost. Moderators on the televised debates have raised some of these issues, but these moderators have also gotten down in the mud with Clinton and Trump by asking them to respond to each other’s allegations and personal flaws. And the moderators wonder why they have a hard time getting the candidates to behave like adults. Trump has done himself a lot of damage this year. Clinton has shot herself in the foot as well. We don’t need the news media destroying them—and the media’s own credibility–at the same time. This entry was posted in Uncategorized and tagged Clinton, election, media, Trump on October 12, 2016 by The Seeds of Spring.